It's another beautiful day in a beautiful place, and we're working to make it better. 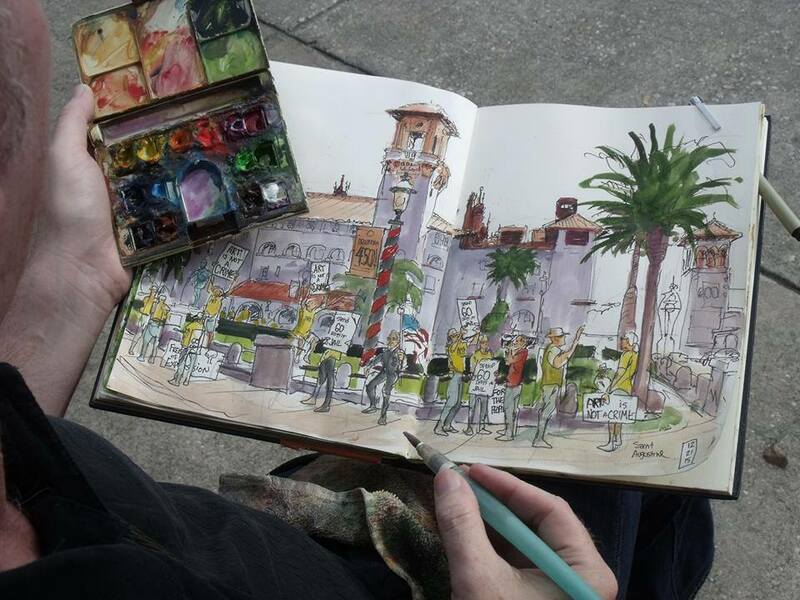 It's a wonderful world and a wonderful life here in St. Augustine. 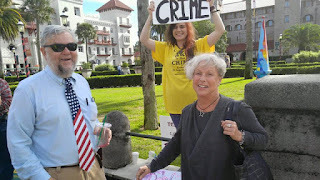 People concerned about the future of our Nation's Oldest City (St. Augustine, Florida) have been reading this blog since April 2006, when our City Hall managers dumped a landfill in a lake, thinking they would get away with it. They thought they were cute. We caught the SOBs, our State fined them and after seven of us filed an administrative appeal, the 40,000 cubic yards of contaminated solid waste was hauled to a Class I landfill (and not haul it in 2000 truckloads to the south end of the historic African-American community Lincolnville, where the then-Mayor and his pals wanted to plop dirt on top and call it a "park." Concerned residents read this blog for the truth and unvarnished opinions. This blog tells the truth "warts and all," as Abraham Lincoln said it. We've been a part of winning more than 33 community victories for environmental and historic protection, for equality, diversity, transparency and honesty, from Rainbow flags on the Bridge of Lions (2005) to remedial orders on City pollution to the election of a new reform Mayor (2014) and halting the 7-Eleven at the congested May & San Marco intersection. "We, the People" have made a difference in our lives here in Our Nation's Oldest (European-founded) City. We're working to halt corruption. We're working to protect First Amendment rights. We shall continue to do so, inspired by your readership. A few moments ago, this blog reached an historic total of one million page views! We continue winning victories for our community and our country. We shall continue working, as "We, the People" vanquish oppressive "gotcha governments" and all of their works and pomps. Thank you for your kind and gracious support, your wisdom and your information-sharing. This is Our Town and our country, and we are all in this together.